Palos Verdes Library District Director Kathy Gould has announced she is retiring from the post she’s held for 14 years, effective June 30. The Board of Library Trustees has hired Sacramento-based executive recruitment firm Bob Murray and Associates to oversee the search for her replacement. Gould assumed the directorship at an unsettled time in the district’s history. 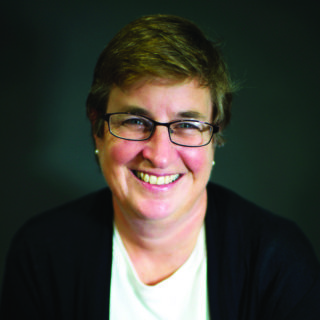 With her unique background of private-sector management experience and knowledge of library science, she was able to restructure the organization and work with the staff, the library board, and the community to transform it into the respected library system that it is today. Kathy was born, and spent her childhood, in Santa Barbara before moving to Manitoba, Canada where she attended high school and college. After graduating from Brandon University she received her Master of Science in Library and Information Management from the University of Southern California. She worked briefly as a public librarian and as a corporate librarian before her career shifted away from libraries and she spent 15 years in a variety of management and executive positions in the mining and manufacturing industries in New Zealand, Australia, and Kentucky before taking on her current role of District Director. As District Director, Gould oversees the operation of three library branches plus the Annex facility for teens, an $8.8 million budget, and a staff of 91. Throughout her tenure she has actively represented the district in the local, library, and special district communities, has built strong relationships with the Palos Verdes Unified School District, the four Peninsula cities, the Palos Verdes Peninsula Chamber of Commerce and other community organizations, and with city, county, state and federal elected officials. Gould also has worked with the Peninsula Friends of the Library to raise funds and recruit volunteers for the library. The library board is seeking public input as it embarks on its search for a new District Director. Those with ideas they’d like to share are encouraged to submit them via the District’s website at pvld.org.